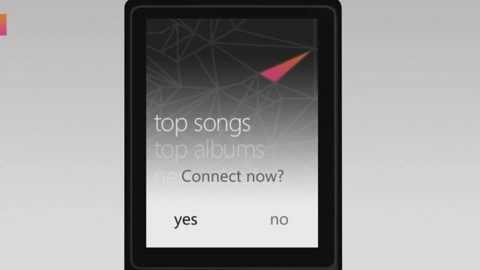 "One of the nice things about Microsoft's new Zune is that it can download or stream songs at a hot spot. The downside: the music player won't work at just any hot spot. The big limit is that the Wi-Fi locale not only has to be free, but also of the variety that doesn't pop up a browser window before letting users online. That's because unlike the iPod Touch, the Zune has no browser." In a repeat of her performance two years ago when she pretended to be surprised that, a mere two weeks after the device's 1.0 launch, she couldn't find another Zune owner with whom to share tracks, CNet's Ina Fried is back again, this time performing her own survey of Zune-friendly hotspots in town. Fried hits up the downtown San Francisco area and a selection of ten coffee shops, restaurants, and retail locations (including a surprising result at the Apple store), searching for a public wifi network that won't require a browser to connect. She finds that the device works at only four of the locations. Fried's point is obvious; most of the public wifi spots nowadays require some form of browser-based "I accept" page to allow you onto the network. This is a glaring oversight in Zune's implementation, to be sure, but building a browser would open another huge can of worms (literally) for Zune to address. Personally, I haven't used the new wifi features much, but when I have this restriction hasn't been that big of an issue. Let us know: is Zune's lack of browser a deal-beaker for you?